St James Plantation located in St. James NC, Near Southport NC, has four beautiful golf courses with a total of 81 holes. Five sets of tee boxes for beginners to professionals. The courses are all outstanding and kept in excellent conditions. Each course has a teaching professional, putting greens and a driving range. Courses are open twelve months a year and the fairways and greens are green all winter long, as well. The Founders course was designed by P B Dye. 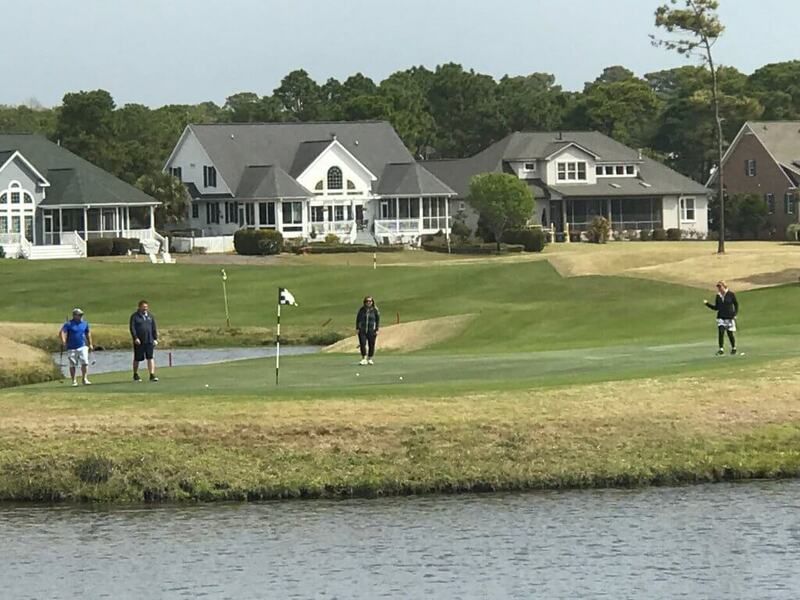 The Members Course by Hale Irwin, The Players Course by Tom Cate and the Reserve Course by Jack Nicklaus Jr. We have both a men’s golf group and a women’s group that play and compete every week. There are also many smaller groups for all level of talent and many groups of four or more than just get together to enjoy each others company. 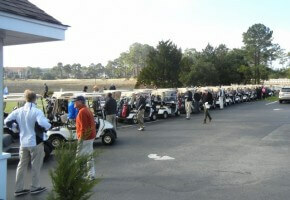 If you just like to play, St James Plantation is the best! 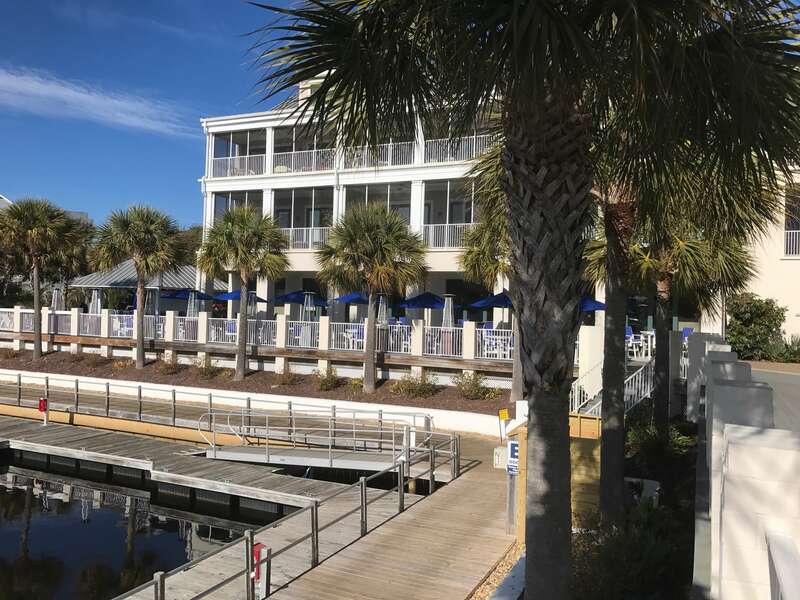 Tommy Thompsons is a great place to eat on the marina. They are open for breakfast, lunch and dinner and have the greatest view. 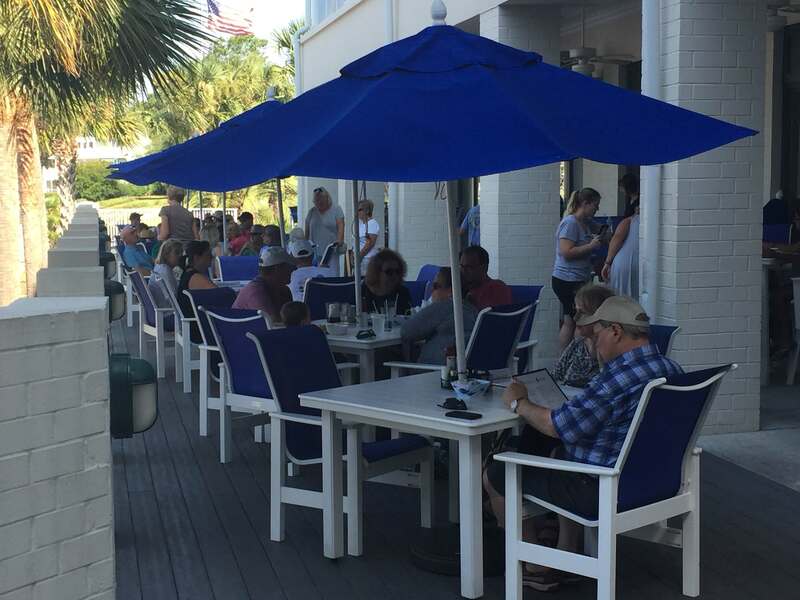 Dine inside or outside with a great choice of food and beverage. Breakfast features a wide selection of egg dishes, pancakes, french toast, omelets or A LA CARTE choices. Lunch features a beautiful soup and salad bar, lots of sandwiches, baskets and my own favorite, clam chowder. The dinner menu includes, many appetizers, soups, salads, beef and fish dishes and even sandwiches if you prefer. On the outside deck is the TIKI Bar which is open when the weather is comfortable. 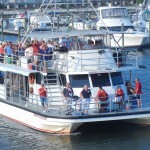 During the warmer weather, they have a small combo providing music and dancing on the outside deck. The originel Tommy Thompson was a sea captain who became famous as a “Blockade Runner” during the Civil War. As Captain, his ship made several round trips through the Union blockade carrying cotton to Nassau and bringing war materials back for the Confederate forces. He also got very rich doing that, as did the well known Rett Butler, friend of Scarlett O’Hara. Tommy’s is a very popular place to eat and enjoy the company of your friends and neighbors. If you prefer, takeout is available by calling ahead (910-253-0767) and then picking up your order. St. James NC St James is a new town, incorporated in 1999, along the southeast coast of North Carolina – just a few miles from the old fishing village of Southport, NC and about 30 miles south of Wilmington, NC. St. James is a town in Brunswick County. However, if you ask me, St James Plantation is located halfway between the blizzards of the Northeast and the hot and crowded jungle-like climate of Florida. We are near the beach about as far south as you can go and still be in North Carolina. 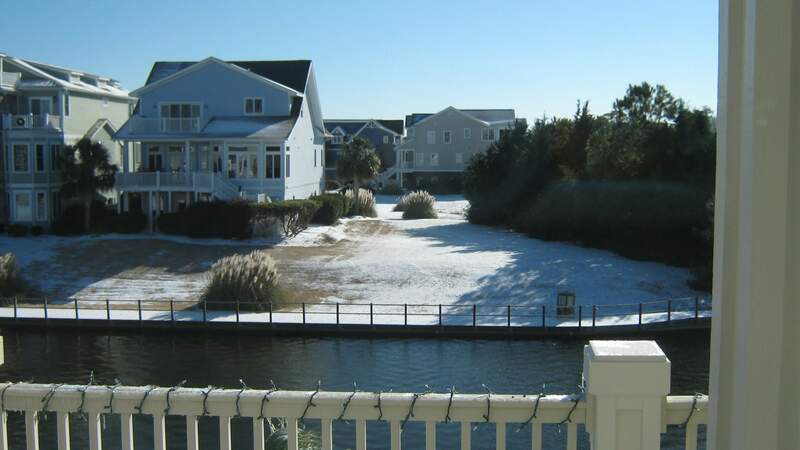 St James surrounds four beautiful golf courses, twelve tennis courts, an excellent marina, and a beach club on the ocean. 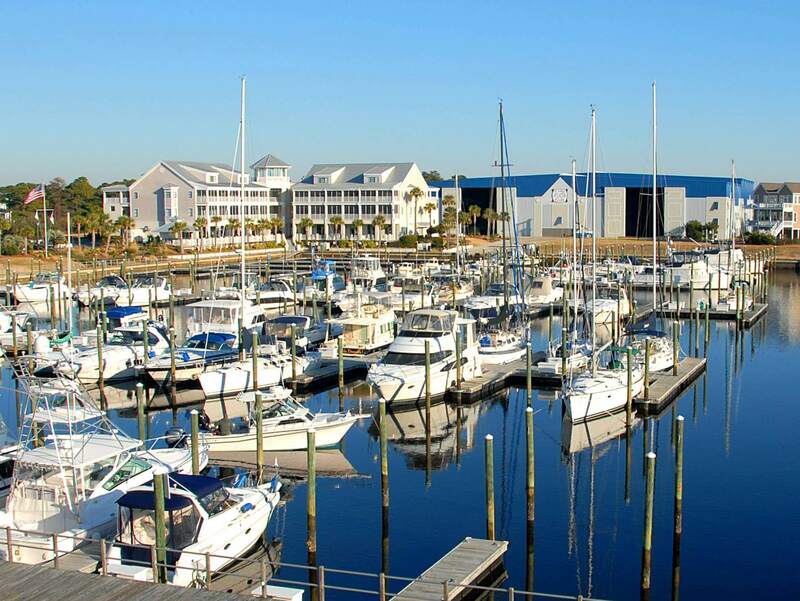 We are outside of crowded big city atmosphere but within easy driving distances to Wilmington and Myrtle Beach for those who need to shop and those who need airline transportation. Access into St James Plantation is restricted to residents, family and friends and those who have a legitimate reason to be here. That means a guarded gate and roving security. If you want to enjoy life with lots of things to do and lots of nice friends and neighbors, St James Plantation is the place. Snow in St James? Not quite impossible. I have seen snow here six times in twenty-five years. Three of these times it was gone two hours later. The other three times there was a little left the next morning. I do wish you would keep your snow up north. No shovels needed here. Maybe a broom for the porch once every five years or so. Our temperature is forecast to hit 58 degrees by Monday. Golfers, tennis players and boaters need to work out in our fitness centers for a couple days. All of you folks from up north have to put away your golf clubs for the winter. In St James, we play golf year around. If there is a frost in the morning, we have what you call a “shotgun” start at ten o’clock each morning, after it warms up. We all start on different holes at the same time. Ten o’clock till two o’clock works best Most weeks the temperature gets up to sixty degrees. If I see anybody wearing shorts, I just assume they are from Canada.